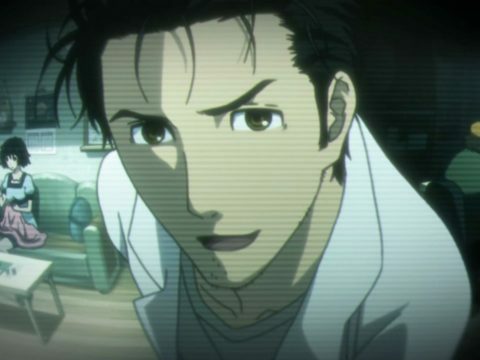 Hououin Kyouma is not just a regular scientist: he likes to tell people he’s a mad scientist. And the world around him is about to go mad. It starts with him taking an interest in teen genius Kurisu Makise, who not only has already graduated college, but has graduated it at the top of her school and has had her research published in a science journal. From there Kyouma goes to attend a press interview with a scientist who says he’s created a time machine. Not liking what the scientist has to say, Kyouma lashes out at him, decrying his research. But then teen genius Kurisu Makise appears out of nowhere and leads Kyouma away from the scientist. Kyouma accuses her of being part of “the organization,” something he’s obsessed with throughout the book. She says she doesn’t know what he’s talking about, but insists they’ve met before, even though he has no memory of that. The two separate, and shortly later Kyouma walks into a dark room and discovers Makise’s bloody corpse. She’s been stabbed to death. A little while later he runs into her in the street, and she’s just fine. She doesn’t remember being hurt, let alone stabbed. Incidents like this continue to happen. Timelines contradict; people forget things that happened. People disappear; people who appeared to be dead are back. What is going on? 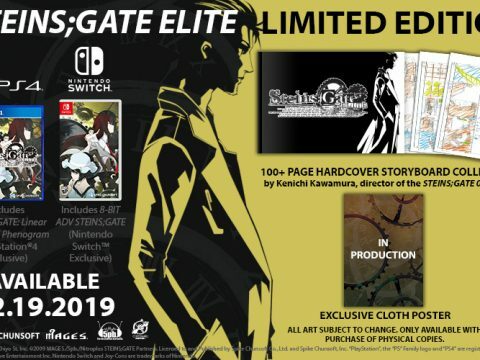 Most of the first volume of Steins;Gate concentrates on Kyouma and his colleagues trying to figure out all the mysteries going on. It has something to do with time travel. They soon discover they’re able to send texts into the past and change the present (want to win the lottery, anyone?). The characters are all zany in their own ways, led by the overly emotional and eccentric Kyouma, who is often drawn as if he’s in the midst of exploding over one thing or another. By the end of the first volume, there are more questions than answers, and it lets off with an exciting cliffhanger. 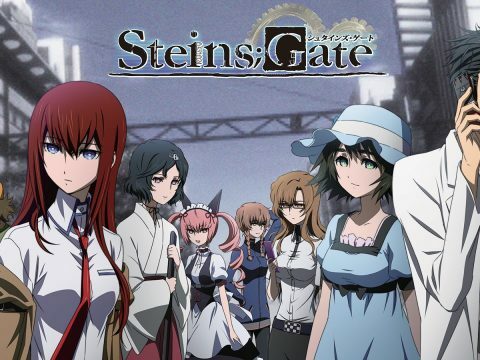 Steins;Gate started out as a visual novel and its success there expanded the franchise into both an anime (being released by FUNimation) and a manga series (being released by UDON Entertainment). 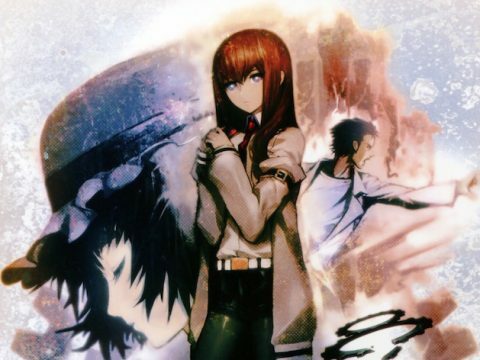 The fun and quirky Steins;Gate manga exuberantly shows why this franchise is so popular. The time travel premise is fun and the characters are amusing (and sometimes a little fanservicey). 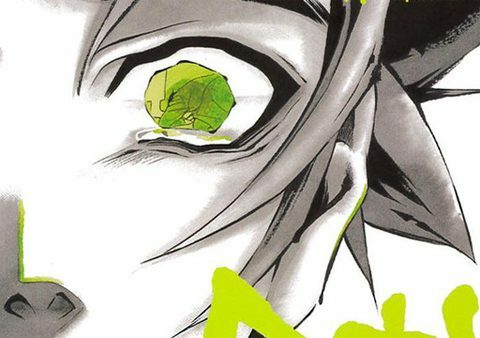 What else would you expect from a manga with a lead who likes to be called a mad scientist? For Minecraft fans, the young-at-heart and people who know young Minecraft fans, Danica Davidson’s middle grade Minecraft novels Escape from the Overworld and its sequel, Attack on the Overworld, are now available. You can also listen to the audio book, which is narrated by anime voice actor Dan Woren of Robotech and Bleach.